As a writer, I'm perhaps the easiest person to buy gifts for. Give me a journal or a notebook, I'm a happy girl. I have even hoarded a lot of pretty looking journals because I've not been sure what to write in them. I occasionally like to take them down, print my name on inside the first page, and put it back in my drawer of notebooks and journals. 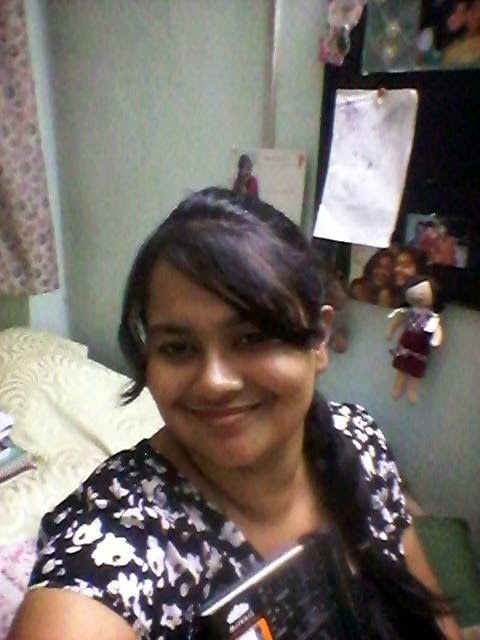 It is no surprise to me then that Swarnali recommended I apply for the MatrikaS Paper Product Review. 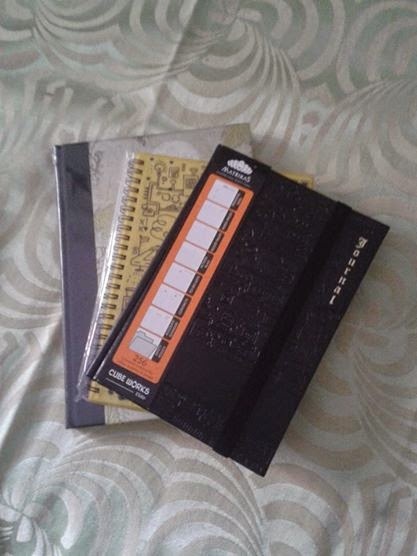 While filling up the form, I mentioned that I like notebooks and I love writing in them. Then two weeks later, I got sent the three journals/notebooks in the picture above. 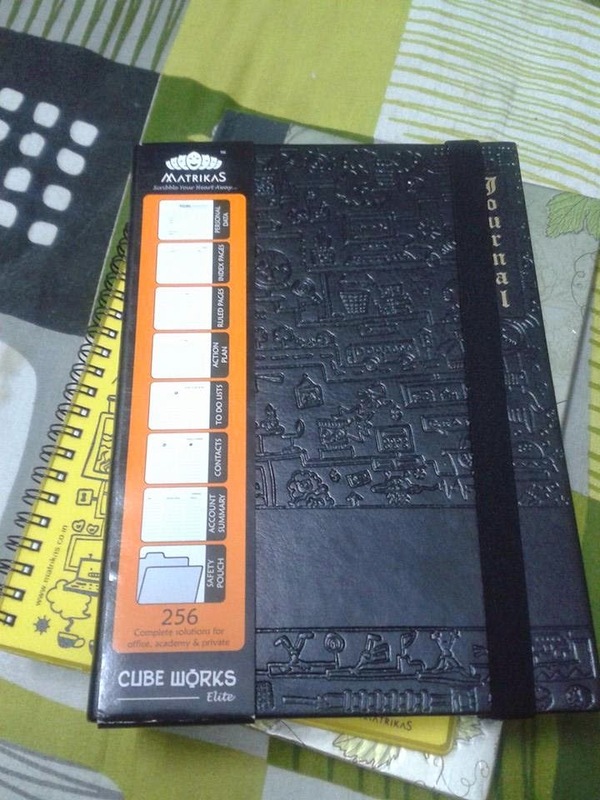 The brilliant Cube Works Notebook. The doodles are too cute, and for me it's the perfect place to plan my next stories, novels...write out detailed character sketches. Treat it like my own little scribbling place. The paper is of a high quality - so whether you use an ink pen, gel pen or a use-and-throw ball pen - it glides over the surface. Making avid writers like me very happy souls. The notebook everyone has been raving about, because who doesn't want to carry just one notebook where all the lectures could be noted - it's strategically divided in five sections. 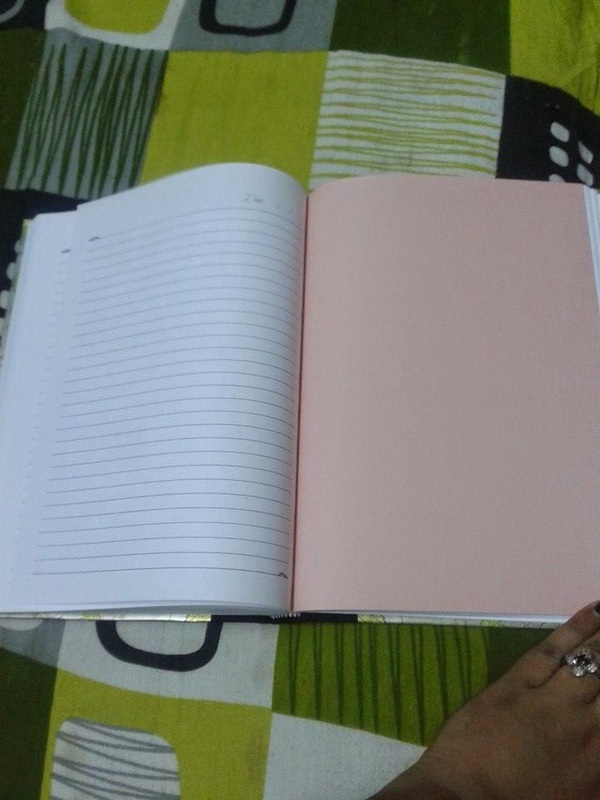 I've used these kind of notebooks all my college and university life. And this one arrived just in time for me to begin planning my MPhil thesis. (Of course I also like to keep one section for random poetry or stray story ideas that keep walking into my head without the slightest warning). It has sections to plan ahead. To make lists of things you want to get done. I'm saving it for the next year. 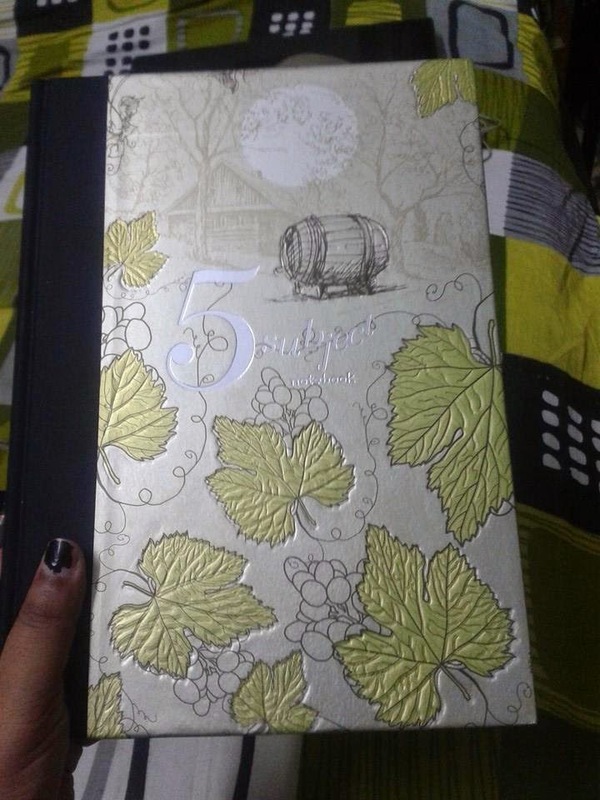 Because I already have an on-going planner/journal for 2014. As someone who swears by quotes, I'm sure making big plans for the coming year, by putting in inspiration quotes inside the journal at random pages. Anyone who gives away journals and notebooks is my best friend forever. Right now, MatrikaS Paper Products ranks very high on that list. I don't know what else I can say to tell you how happy I am with the products. I'd definitely recommend getting hold of the very pretty and very useful writer's equipment to anyone who loves writing or wishes to write. Or is just plain bored of carrying that bland notebook to college. Add a little color to your life, if you are a student or a very bored office goer. 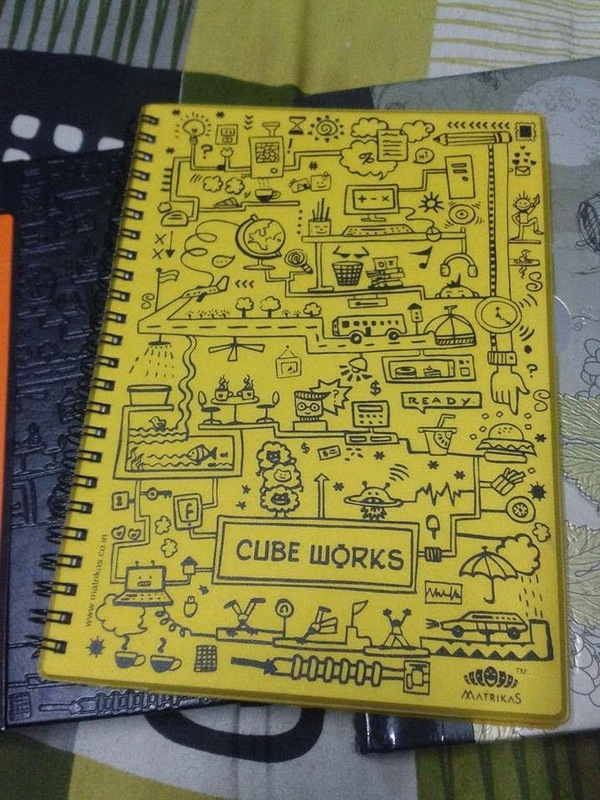 Go get the Cube Works Notebook. Add a little thrill and fun in you life...by getting the journal. Make up random lists...and see if in the course of time, those things come true. Add a little organization into your messy college notes. Use one section for a certain paper. Product review got the priority in this blog.Product description writing works as a product review to the market.It always get a great attraction to the owner of the business.